Thank you for your service. We salute you with the following discounts presented by USAA. All Military and Veterans save up to 40% on Salute Night tickets. 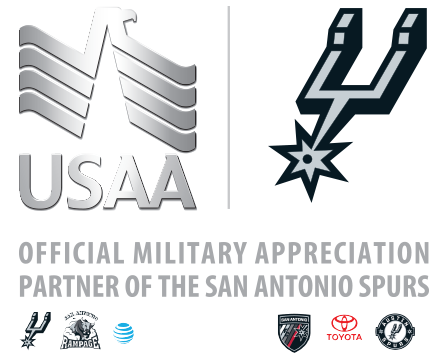 15% off at the Spurs Fan Shop on USAA Salute Nights with a Military I.D. We offer a military discount for every home game. Check back in the Fall for the Austin Spurs full schedule and pricing.